The ancient tradition of Classical Yoga expounds that our true nature lies hidden within us, obscured beneath layers of sociocultural conditioning. And according to this two thousand year old philosophy, it is for this reason, not seeing clearly our true nature, that we suffer. 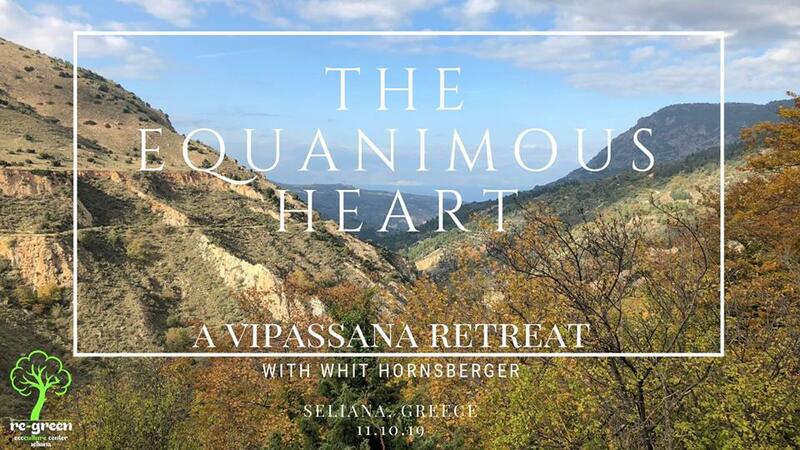 Join Canadian teacher Whit Hornsberger for this week-long retreat, cultivating inner peace through the experiential understanding of our true nature as pure awareness, and the intrinsic interconnectedness of this said witness-consciousness to the natural world. Set amongst the breathtaking natural beauty of the Greek mountains and the endearing family of humans and animals alike that call this beautiful permaculture retreat centre home, our week together will focus upon the healing wisdom of the natural world, the timeless teachings of Classical Yogic philosophy and the systematic techniques for embodied well-being passed down to us by this ancient tradition. By integrating deep practices of yogasana (vinyasa, yin), pranayama, meditation and philosophical discussion with off-the-mat teachings of permaculture, herbal wisdom, natural and sustainable building techniques, forest hikes and waterfall swims, our time together will catalyze our reconnection to self as pure awareness, re-establishing our rightful place amongst the interconnected web of life. 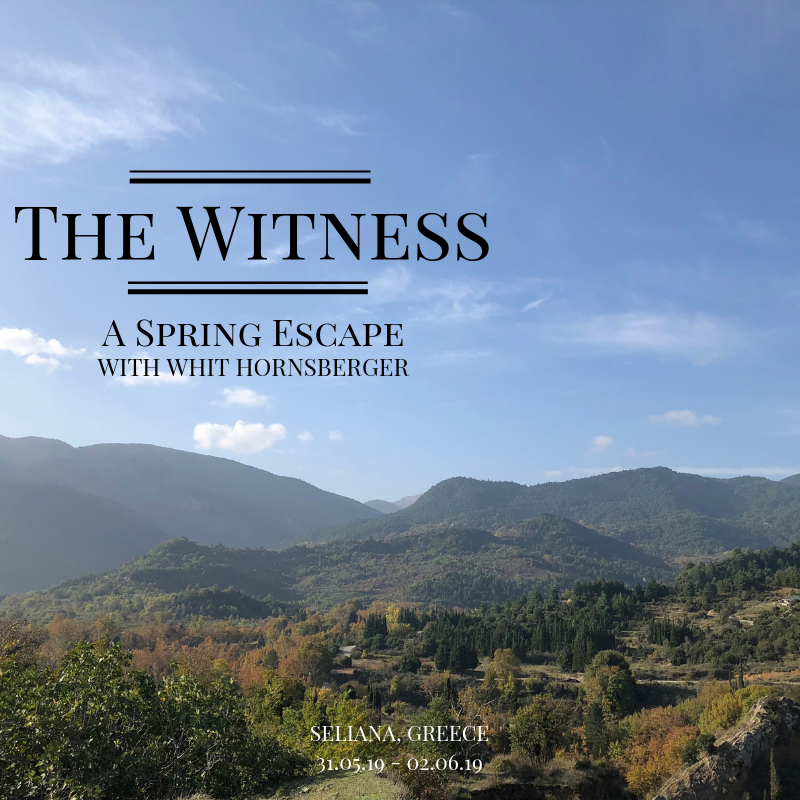 Fuelled by organic, vegetarian, farm-to-table meals, practitioners will leave this retreat experience with a deep empirical understanding of how each moment of every day provides an opportunity to return home to the seat of witness-consciousness, reconnecting to the source and finding refuge amongst the changing conditions of life. This retreat is created and designed for all levels of practitioner and specifically geared towards those individuals looking to reconnect to nature and the refuge of their own awareness. Includes: Six nights shared accommodation, three organic vegetarian meals per day, all yoga practices, permaculture & herbal workshops and pick up/drop off from Akrata. We ask for a small deposit to hold your space. Please email: info@re-green.gr for further questions or to confirm. About Whit Hornsberger (Vancouver, Canada) is a student and teacher of the wisdom traditions of Classical Yoga and Theravada Buddhism. A former athlete, Whit found the path as a result of a career ending knee injury and the subsequent emotional and mental suffering inherent in losing one’s (supposed) self-identity and self-worth. His daily practice and teaching methods stem from the traditional practices of Vinyasa Krama (Krishnamacharya) and Buddhist meditation (Mahasi Sayadaw). A passionate advocate of traditional teachings, Whit expounds the ancient wisdom of these lineages in a relevant manner, making them readily accessible to students at every stage of the path. A lover of surf, travel and nature, Whit teaches internationally, offering classes, international workshops, retreats and trainings. Re-Green is an ecoculture center based on a mountain countryside, aiming to actively experience the power of Green living. We are convinced that the world’s problems, the economic crisis, the diseases, the climate change, the pollution etc can be solved by Re-Greening our lives. Re-Green stands for everything… re-use and re-cycle things, reduce waste, refuse in the first place, repair, re-think our actions, re-write the rules, re-view, re-model, re-design, re-invent Life! Re-Green means to take responsibility and to simplify. Re-Green is Permaculture, Sustainable Living, Energy Saving, Self-Sufficiency, Nutrition with Real Food. Re-Green extends to Meditation, Elevation, Compassion and Unconditional Love to all living beings in the Planet. Its a project of two people who consciously abandoned the hectic city life and moved to the countryside with the aim to build a life of trust, love and care for the Earth. The project is about a never ending design of a Sustainable and Self Sufficient model of living following the principles of Permaculture. It’s about Balance within the four elements of Fire, Earth, Water and Air. Self grown healthy food, nature friendly structures, traditional remedies and ancient models of healing, fresh air, active work with the body, mindfulness and open hearts. We believe that the transition to Re-Green is about self responsibility, but it is as critical to involve the energy and contribution of other people too. This is why we are also creating a welcoming home for people who share the same ideas with us, so that we all can change together and multiply the effect of this transition with awareness around! Our space is surrounded by active edible gardens. We offer shared accommodation in the renovated 250 years old guesthouse. Rooms are spacious and split level with natural mattresses and private bathrooms. The ‘hangout kitchen’ offers from our in house chef organic healthy vegetarian food, locally sourced, herbal teas and fruit. The Maloca/shala where we will practice is a 100sq/metre octagon, built with local, natural materials. A reciprocal beam structure roof covers the walls and windows hosting different natural techniques and is able to be heated by a very efficient wood burning rocket mass heater. It is entirely built by volunteers, helpers and ourselves and has pillows, carpets for comfort. Located within Re-Green’s property it overlooks the green forest on the south and the blue greek sea on the north. We simply love surrendering there !